This rare, museum quality 3 dimensional inlay set was part of a private collection. It was made by Navajo artist Ernest Shirley. Excerpt from page 252 in American Indian Jewelry III M-Z by Gregory Schaaf. Conchos are currently on a double leather belt that is 1 5/8″ wide and 38″ long from buckle to end of leather. Holes are punched at 34″ to 36″. 526 grams. Buckle is 3″ x 2 5/8″. Notice the 3-dimensional quality of the stone inlay and overlay on all pieces. Each concho has a copper belt loop. Certificate of Authenticity for concho belt. Eight conchos are 2″ x 2 1/4″. Bracelet, pendant and two rings. Bracelet is 6 1/4″ total inside circumference, this includes the 1″ gap. Bracelet 3 1/8″ tall at front, 11/16″ at ends. This four-wire bracelet design is traditional Navajo and Zuni bracelet form that is open and airy allowing for ventilation and making the bracelet more comfortable to wear in hot and humid weather. Read more . . . Certificates for woman’s bracelet, pendant and two rings. Pendant 2 3/4″ x 2″, 32 grams. Ring size 9. 2 1/2″ tall x 2″ wide. 36 grams. Ring size 6, 2 1/8″ tall x 1 3/4″ wide. Bracelet is 3″ tall at the front to 11/16″ at ends. Heavy man’s ring size 12 1/4 . Ring is 1 3/8″ tall x 1″ wide. 47 grams. Sleeping Beauty Turquoise comes from one of the largest turquoise mines in North America located in Gila County, Arizona near the town of Globe. This turquoise is prized for its uniform blue color with little or no matrix that allows the stones to be easily matched and cut. 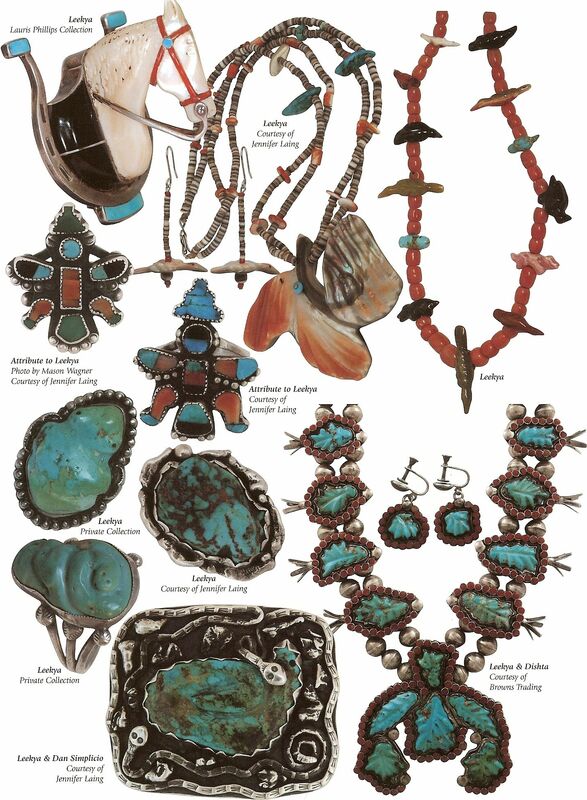 It is the favorite stone of Zuni Pueblo silversmiths for use in petit point, needlepoint and inlay jewelry. Only 4% of the turquoise taken from the mine is left natural. Most is is enhanced or stabilized and sold to large distributors in the USA and Europe. If you want to see more information, view the webpage devoted to this set.